In a competitive global business environment, everyone must know the basic process of foreign exchange. Thousands of separate import and export dealings take place every year and each one creates a separate debtor-creditor affiliation. Foreign exchange can be understood in simple terms as - when a business enterprise imports products from other nations, exports its goods and services to them or makes investments overseas, it deals in foreign exchange. In India, all transactions that deal with foreign exchange were regulated by the Foreign Exchange Regulations Act (FERA), 1973. The basic purpose of forming this act is to conserve and utilize the foreign exchange resources of the nation in the best way. It curbs the conduct of business outside the country by Indian companies and in India by overseas companies. It was a criminal legal framework and if this act is breached by any means, it leads to detention, and offenders have to pay a heavy fine. In the period of economic revival, this act was replaced and a new act called Foreign Exchange Management Act (FEMA), 1999 came into force for smooth business. 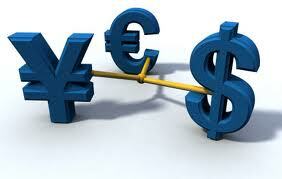 Foreign-exchange reserves consist of foreign currency deposits and bonds. However, the phrase commonly includes gold reserves, special drawing rights and International Monetary Fund reserve positions. Official international reserves assets permit a central bank to obtain the home currency that is the accountability for the central bank. In this way, the quantity of foreign exchange reserves can change as the central bank executes fiscal guidelines but this dynamic is generally evaluated with reference to the level of capital mobility, the exchange rate system and other aspects. The marketable world develops the foreign exchange markets, in which foreign exchange mechanisms are purchased and traded at a price or rate. This is the tool by which worldwide traders carry on the money side of their commerce. As an officer of foreign exchange department, he/ she must brief laymen about the key elements of the foreign exchange process. Foreign money used is dollar, pounds or francs. The Foreign exchange market intervention is altering the value that market partakers put on a specific currency. The key element is trading between different countries and demanding payment in its own money. In other words, it is a business of buying and selling products in foreign country and getting paid in its own currency. It is to be noted that while people employed in a foreign company they are not concerned in the foreign exchange process even when they engage in exchanging money in his own country. Foreign exchange settlement risk has an important liquidity risk dimension. Even temporary delays in settlement can expose a receiving bank to liquidity pressures as unsettled funds are needed to meet obligations to other parties.